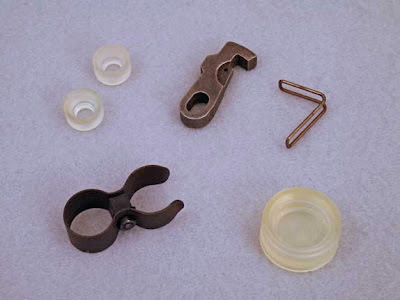 New Industry Brand B3 Parts Kits - Including That Cocking Lever Clip! 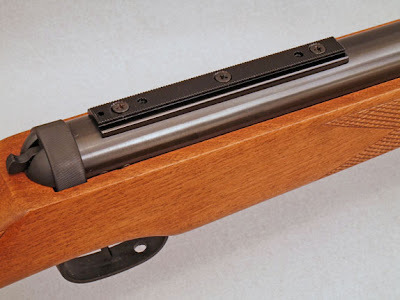 I've lost count of the number of times people have telephoned Archer Airguns to ask "Do you have that clip that holds the cocking lever in place under the barrel on the Industry Brand B3 air rifle?" Well now - for the first time - the answer is "yes!". 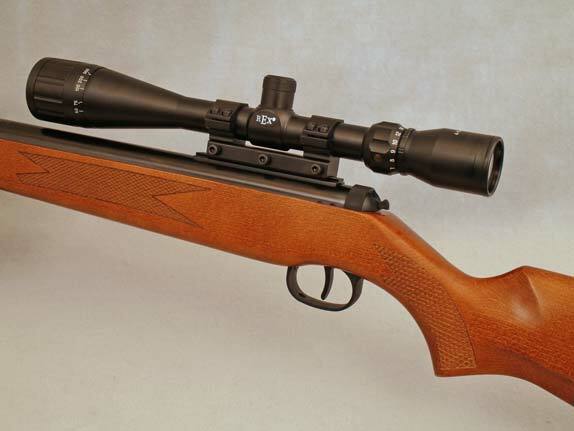 Archer Airguns has two new parts kits for the Shanghai Airguns B3-1, B3-2 and B3-4 air rifles. The first is our Repair Parts Kit for Industry Brand B3 Air Rifles. This contains the most frequently requested parts, including breech seals, piston seals, sear, sear spring and cocking lever clip. You can see this pictured above. 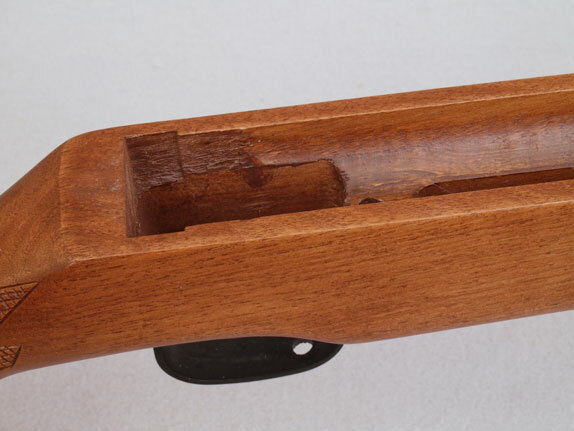 Also, for those who only want the underlever clip, we have the Archer Airguns Underlever Clip Assembly for Industry Brand B3 Air Rifles Kit. 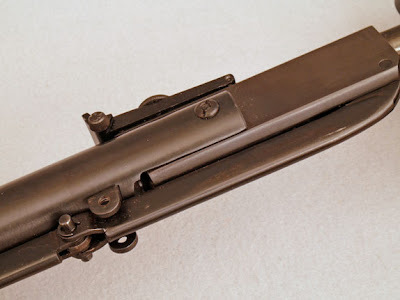 This contains two of the previously-unobtainable underlever clips for B3 air rifles. Why two in a kit? 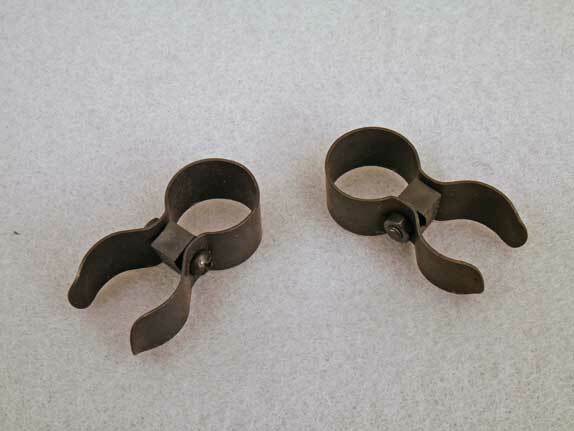 Well, the spring steel of these clips does not last forever and you're sure to need another! 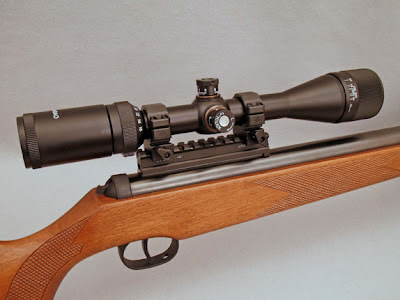 As a result of continued testing, we've found that Archer Airguns XS28M scope combos will be a better solution for most users if the scope mounting is done using Weaver-style attachment. So, we're bundling a Leapers dovetail to Weaver rail adapter with our XS28M combos and - obviously - Weaver mount rings also. The Weaver-style adapter fits the Xisico XS28M perfectly - as you can see from this photo. 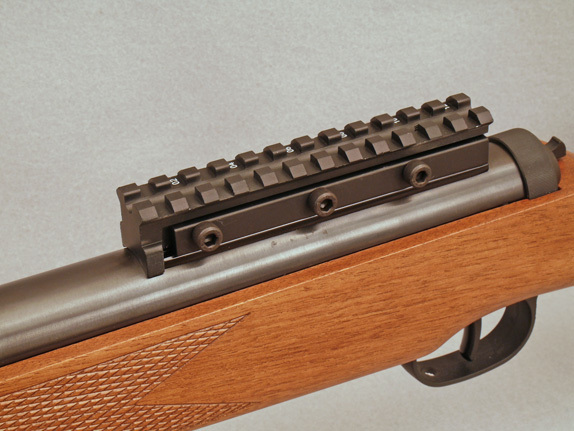 It makes a really strong scope mount and prevents the possibility that the scope mount will "walk back" off of the standard airgun dovetail rails. Below is a photograph of the revised XS28M Weaver combo with the 4-16 x 40AO Rex scope. So are there any downsides to these revised combos? Well, the price is increased by $20.00 and the centerline of the scope is raised a little - although we are minimizing the effect by using low rings. I still find the cheek weld to be good, however, even with the slightly higher scope position. To me the XS28 Weaver combos make a lot of sense for most of us. 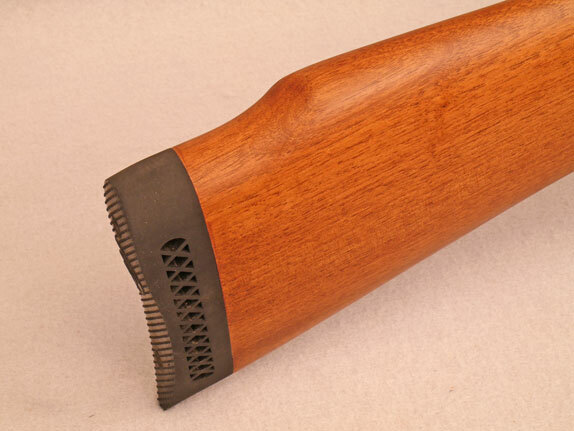 But if you're happy with the non-Weaver approach, we have maintained one XS28M combo that uses the factory dovetails. Here's an early Archer Airguns Gold Service test target for an Xisico XS28M air rifle. 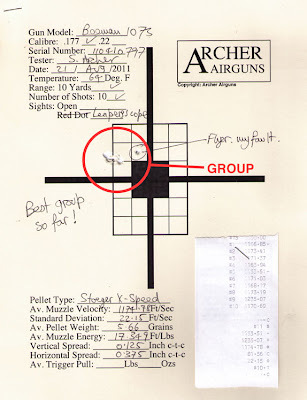 As you can see, there's a great 10-shot group, with good shot to shot consistency (shown by the low standard deviation of 8.94 fps) and a low trigger pull weight of only 2.5 lbs. 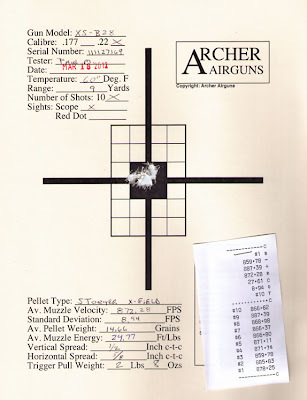 Muzzle velocity averaged 872 fps - this was a .22 caliber gun - giving close to 25 ft/lbs of muzzle energy with mid weight Stoeger X-Field pellets. Of course this much lower than the manufacturer's specification of 1,000 fps, but realistically it's what we would expect from a magnum spring/piston air rifle of this type. Overall we have very good performance, particularly given the price of just $149.99 for the gun only. 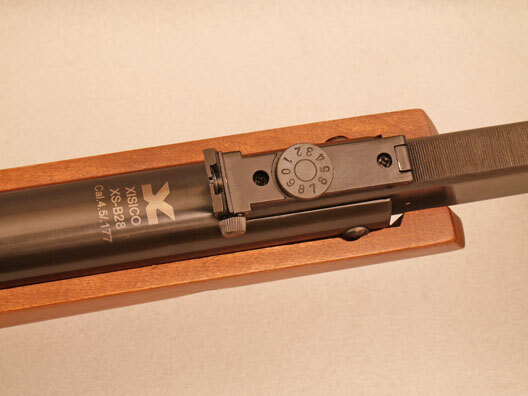 You'll see that the test target describes the gun as XS-B28. The gun itself and it's box are marked as XS-B28, but Xisico is starting to use new names for its products - XS28M in this case - and that's how we are describing them in our store. The ventilated buttpad looks like this. 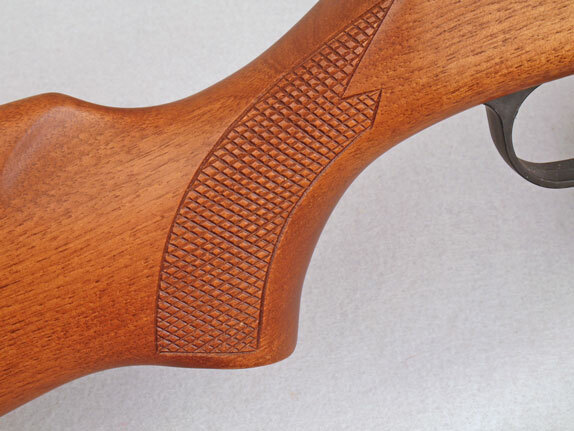 Here's some checkering on the wrist of the stock. 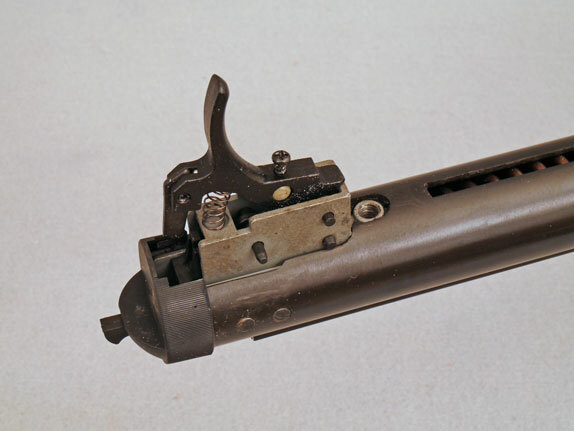 This is the T-05 style trigger assembly. The rear sight area from above. A lower view of the rear sight and barrel pivot area looks like this. Here's part of the stock inletting. It's surprisingly good for a part of the gun that's not expected to be seen by most owners. And finally, here's a view of the cocking linkage, obviously with the stock removed! I hope you're as impressed as I am! 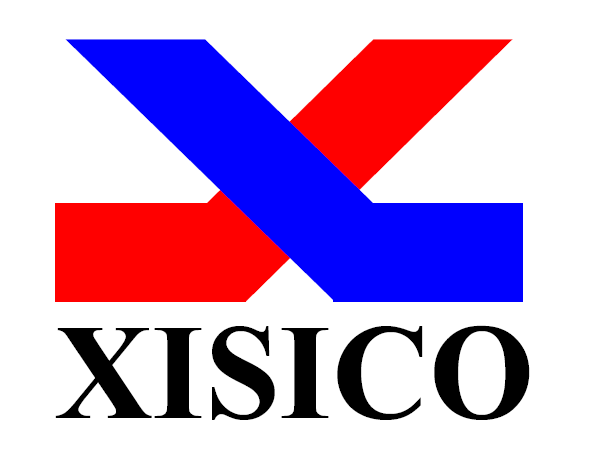 Xisico - pronounced "Sisco" - rhyming with San Francisco - is the manufacturer of many very popular air rifles that are marketed under other brand names. And while the majority of Xisico production is made for other companies, Archer Airguns is proud to be selling a range of Xisico air rifles under their own brand. Xisico is a US company with manufacturing facilities in China. Their factory has been manufacturing rifles since the 1960s, today the vast majority of production is air rifles and pistols for customers around the world. The first model we're introducing is the XS28M air rifle. 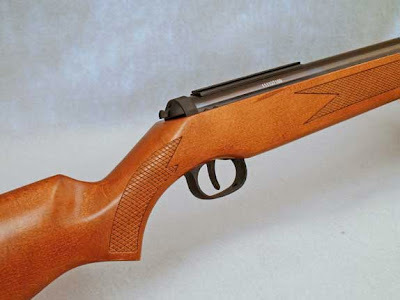 This is a magnum power airgun that's offered at a great price. It's ideal for long range shooting and hunting so long as it's shot using the Artillery Hold to achieve the inherent accuracy of the gun. As you can see in our store, we're also offering the first of what we plan to be a range of scope combos with the XS28M air rifle - these combos offer even better value in pricing. More details to follow as we expand the range of products in the Xisico pages of the Archer Airguns store. Watch this space! 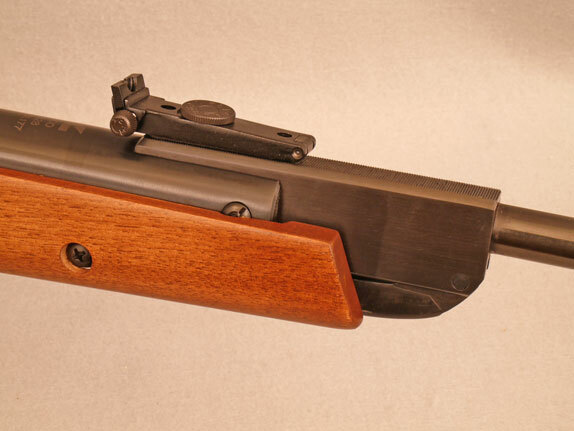 There's a couple of small, but interesting, new additions at Archer Airguns. Both come from Stoeger Airguns. 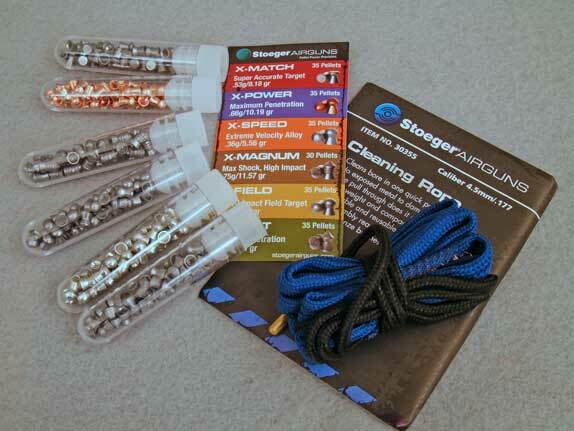 First is the Stoeger Airguns Pellet Sampler Package. This provides a convenient, low cost way to try six of the types of Stoeger premium pellets - all except the X-Sport 7.48 Grain wadcutters - in .177 caliber. There's 205 pellets in the sampler and they're conveniently packed in tubes that you can take into the field for use. Stoeger pellets are German made and are of high quality. 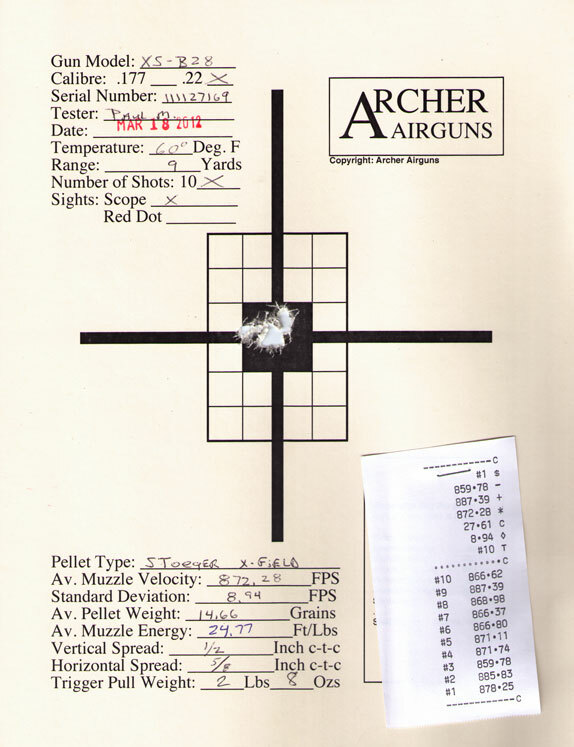 We've had a lot of success with them and use the X-Field pellets for Archer Airguns Gold Service testing of high power air rifles. And .177 caliber Stoeger X-Speed pellets produced the best 10-shot test target of every pellet type we tested last Summer in the Beeman RS2 dual barrel air rifle. Stoeger X-Speed are the only lead free pellets I've tested that show accuracy comparable to lead pellets. Their performance is really outstanding and they are - to me - worth every penny of their admittedly high price. The Stoeger Pellet Sampler Package is available only for .177 caliber at the present time. 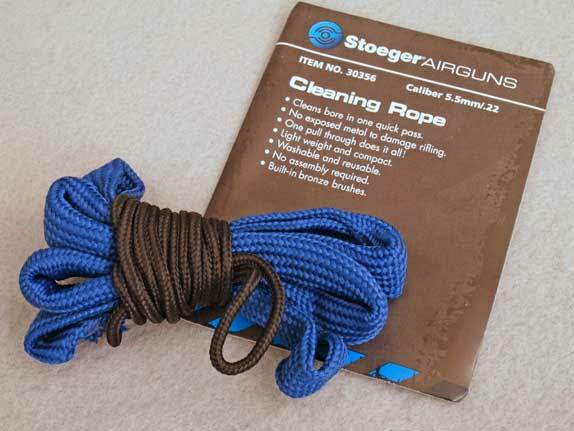 The other new product is the Stoeger Airguns Cleaning Rope. Air rifle barrels don't require cleaning often, but when they do, this is the best way to do it! The Cleaning Rope is a convenient re-usable "pull through" that is the ideal way to clean the delicate rifling of airgun barrels without the risk of damage that's always present if a rod is used for this task. There's a brass weight to lead the rope through the barrel and bronze brush elements built-in that actually do the cleaning. Clear instructions are included on the packaging. Available for both .177 and .22 calibers, these Cleaning Ropes are reusable and can be washed if required.